NL6698 : The Screen Machine is in town! 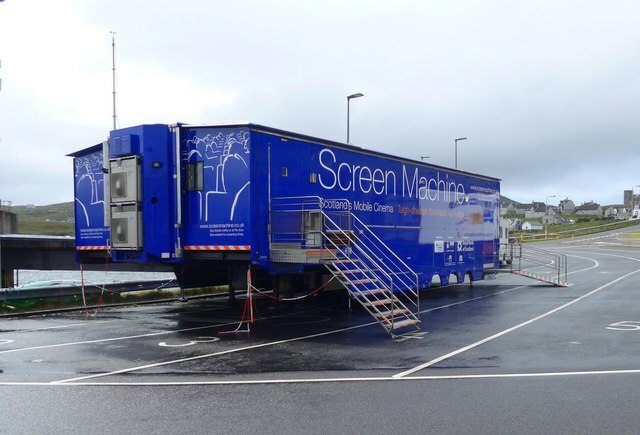 The Screen Machine is in town! This amazing articulated trailer expands out to become an 80-seat, air conditioned mobile cinema. NL6697 : Kisimul Castle Stronghold of the once piratical MacNeil's of Barra since the 12th century. Sir Compton MacKenzie (author of 'Whisky Galore') also lived here, but the more recent incumbents are from a Canadian line of the MacNeil's.